Hank Phillips (Mechanical Engineer, right) and Rey Minnich (Electrical Engineer and Equipment Salesman, left) decide they can build and supply better equipment to the cast urethane process industry. They borrow $20,000 from family and friends and form a company called Advanced Machine Planning, Inc. (AMP, Inc.) in the basement of Hank’s house in Piscataway, NJ. Hank spends every dime he has, plus several months together with Rey, designing the world’s first fully automatic MOCA melter. A truck pulls up to Hank’s garage and the first Quik-Melt Model #230 Moca Melter was on its way to Nazar Rubber in Toledo, Ohio. Hank hires his first employee, his sister Gin, to handle the bookkeeping. She watches every penny. Bill Begosh, a local machinist who runs his small company from his garage asks Hank if he wants to go in on renting a nearby building together. 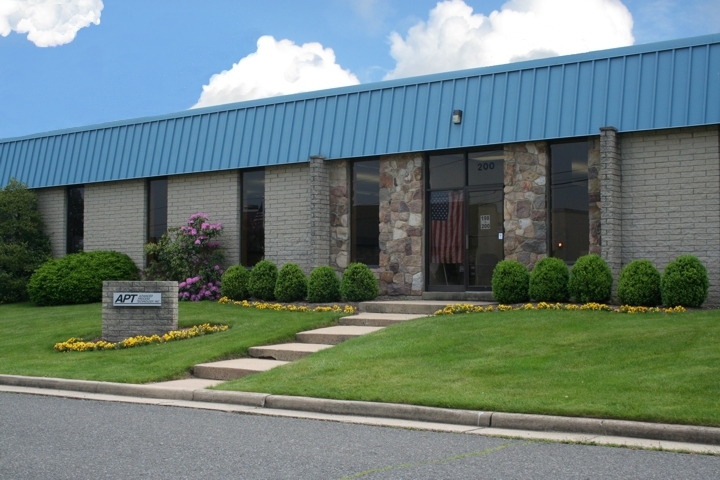 They both move their operations over to that rented building in South Plainfield, NJ. 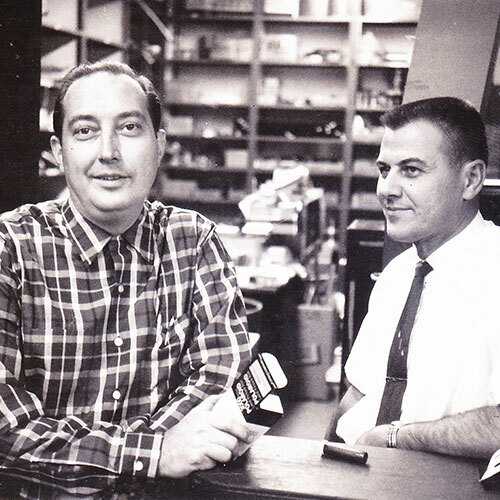 As it turned-out, Bill began to make virtually all of AMP’s machined parts, so Hank and Rey bring Bill in as a percentage partner and Bill’s machine shop quickly becomes a part of AMP, Inc. The first Flying Wedge, a unique two-component cast urethane meter-mix-dispense machine is built and shipped to AGC in Meriden, Connecticut. Several more piston pump shot machines, plus, heated, agitated, vacuum degassing tanks and on-demand MOCA Melters follow and the company begins to hire design engineers, machinists, assembly workers, salesmen and technicians. 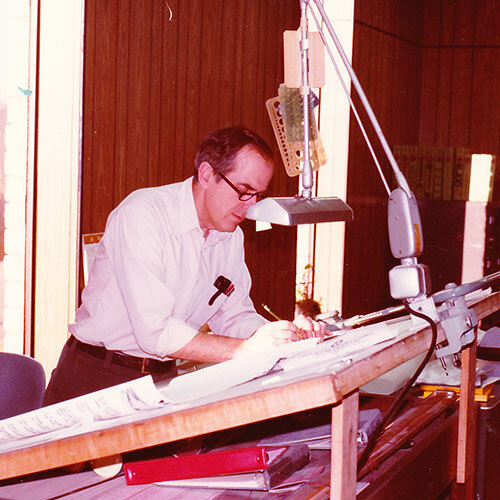 Good people like Phil Burrell (draftsman) come on-board and share their many talents to help the company serve its growing list of high-end customers. 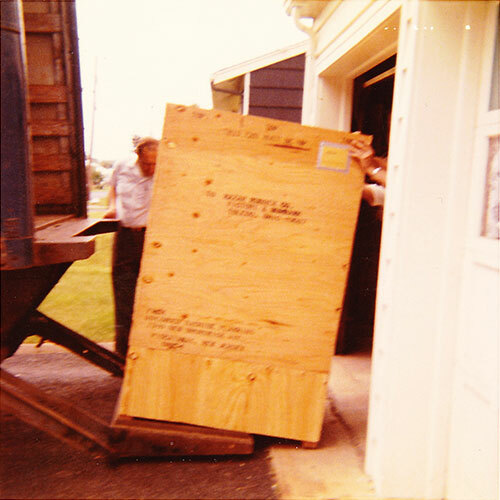 In the summer of ’75 we move into our new building in Middlesex, New Jersey. 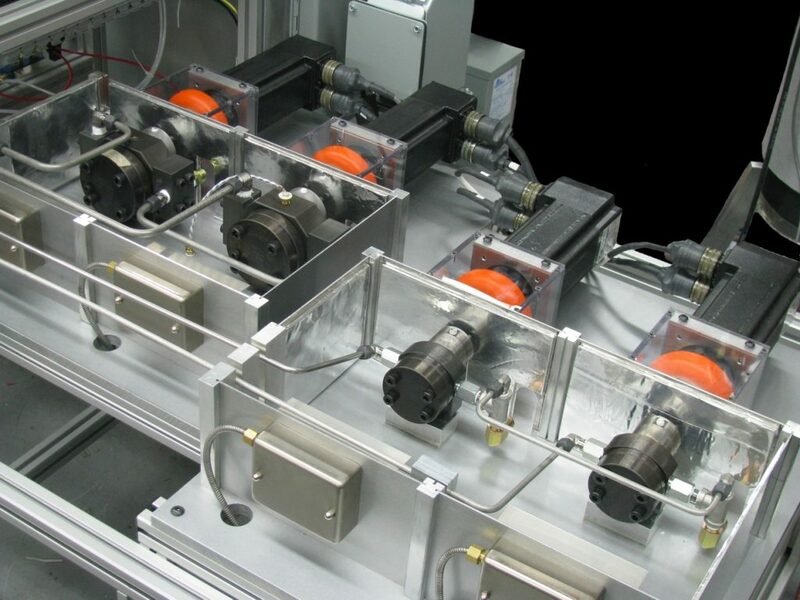 Epoxy potting and encapsulating systems are added to the AMP line of products. This line of Wedge metering and mixing machines include manual and fully automatic, high-vacuum chambers, which give our customers the ability to vacuum pot and encapsulate electrical and electronic components with air-free metered and mixed epoxy, inside air-free vacuum boxes. Our customers’ product applications include high-voltage MRI imaging magnets and coils and critical, bubble-free, electronic components. Within 14-months, we sell 28 Flying Wedge metering and mixing machines to skateboard wheel manufacturers. 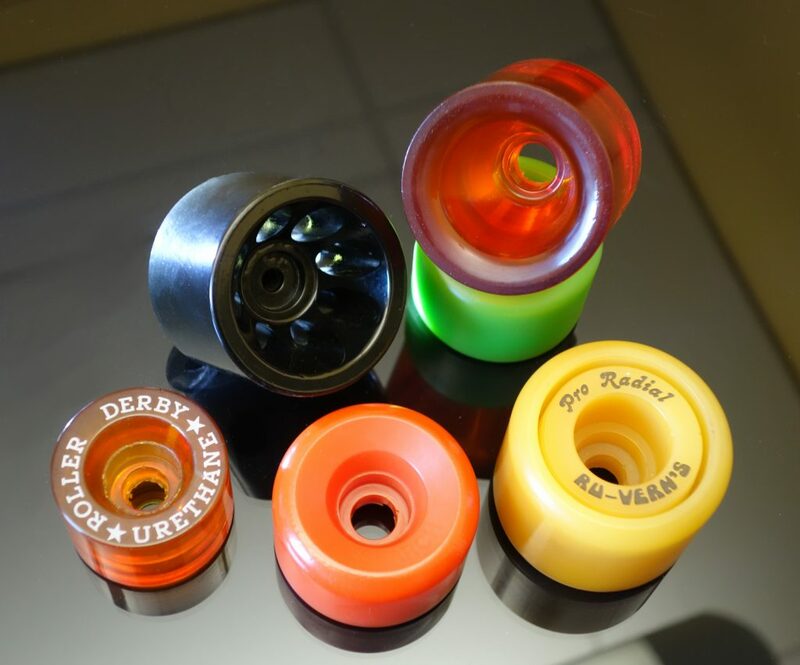 Skateboard wheels (vs. current skate wheels) are the craze and cast urethane proves to be the very best material available for outstanding traction and resistance to abrasion. Vern Heitfield, the true inventor of the skateboard wheel, started his company around when we did. He purchased his first Wedge machine in July of 1971. Continuous Thin-Film Resin Degassers are added to our growing line of products. Our customers tell us they need constant degassed resin at high output flow rates, along with a way to maintain constant vacuum on their materials. Our Continuous Thin-Film Degassers eliminate the need to degas and prepare resin in start-stop batches. Air and moisture contamination and the need to apply dry nitrogen gas over-pressure on the material are also eliminated. The name Advanced Process Technology, Inc. is born and we dedicate this arm of our company to the manufacture and sale of cast urethane and epoxy process equipment. This is also the year that our Wedge machine is used to filament wind epoxy-composite solid rocket booster cases for the space shuttle program. 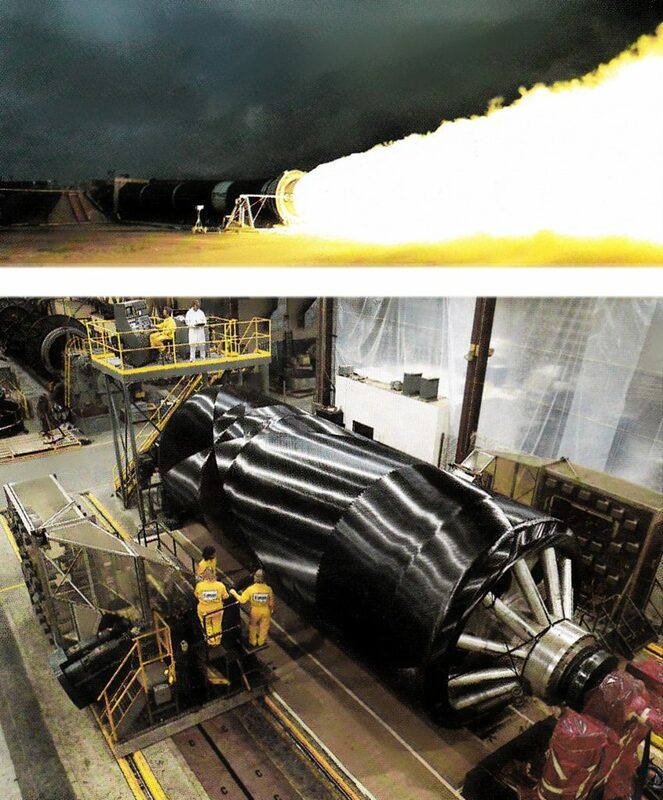 These wound composite propellant cases are 12-feet in diameter and 30-feet long. Programmable logic controllers, servomotor drives and servo amplifiers become much more affordable. We assemble our first, continuous, two-component, rotary gear pump system for Titleist, a division of Acushnet. We name this servomotor-controlled metering and mixing system our SRD-Series and it quickly becomes a very large part of our product line. The SRD is followed soon after with the ECS-Series, our digital, linear servomotor-controlled, piston pump metering and mixing systems. Our customers need to confirm that when the pumps are turning, the metered components are constantly being held on-ratio. Coriolis mass flow and density meters are added to our epoxy and cast urethane metering and mixing systems. Mounted in-line between the metering pumps and the mixer, these precision mass flowmeters provide critical ratio monitoring and instantaneous closed-loop feedback ratio control. They provide your finished products with constant QC protection and give you confidence in the metering and mixing process. 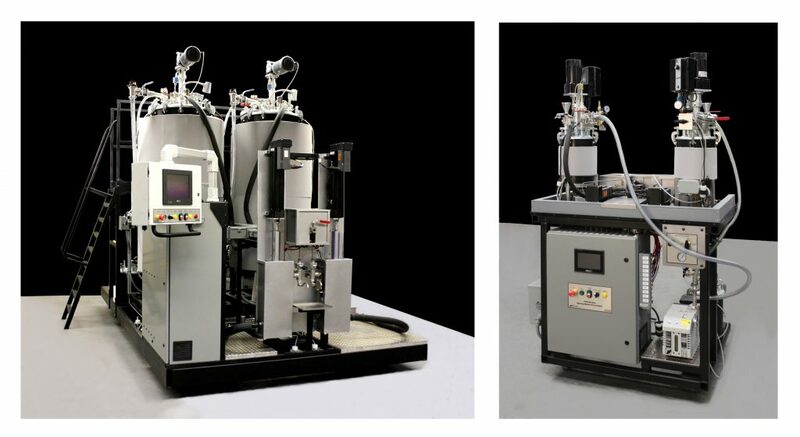 Our advanced epoxy composite equipment continues to expand into new areas including RTM (Resin Transfer Molding Equipment) and VARTM (Vacuum Assisted Resin Transfer Molding Equipment). 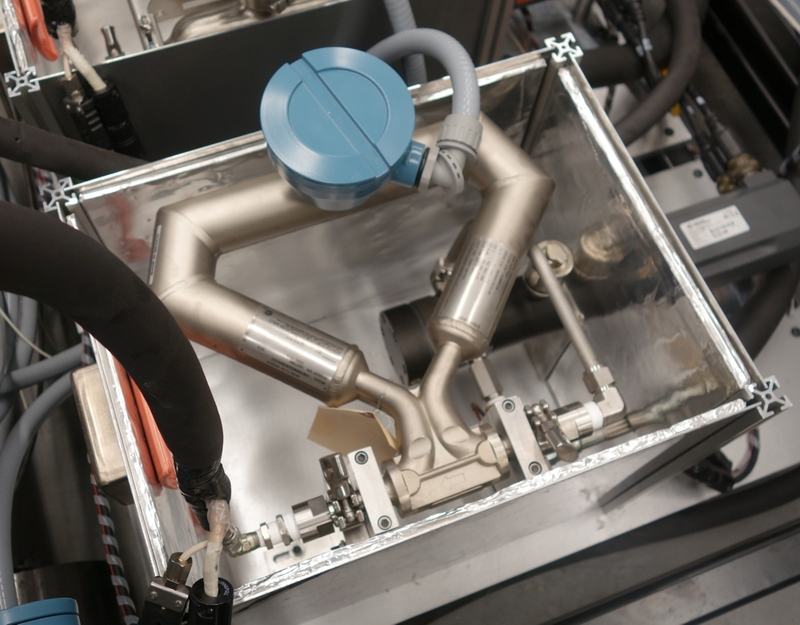 We move forward with the introduction of sophisticated digital equipment that provides vacuum level control hardware and controlled, variable, mixed material output pressure to the RTM/VARTM molds. These new equipment features help to provide Raytheon, Boeing, GKN and other composite manufacturers with superior process control methods for infusing and injecting their composite preforms with near zero void content and true air-bubble-free epoxy. 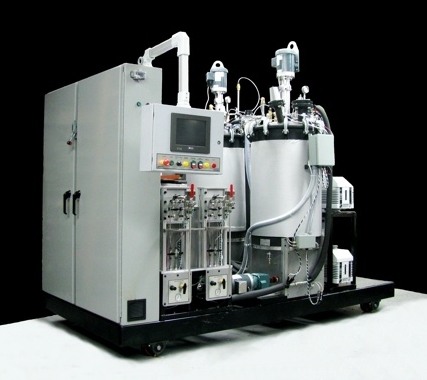 The production of epoxy vacuum potted MRI (Magnetic Resonance Imaging) equipment begins to take on a very fast pace. The super-conducting magnets and gradient coils inside these body imaging systems need to be vacuum potted and encapsulated with consistent air-bubble-free and void-free epoxy. 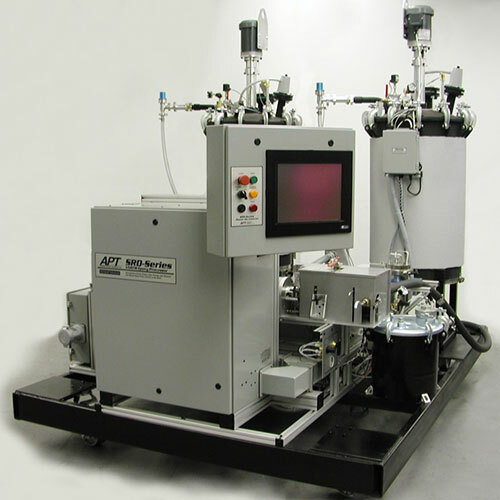 APT meets the challenge with its time-tested, digital, SRD and ECS epoxy metering, mixing and vacuum casting equipment and becomes the number one choice for MRI equipment manufacturers worldwide. 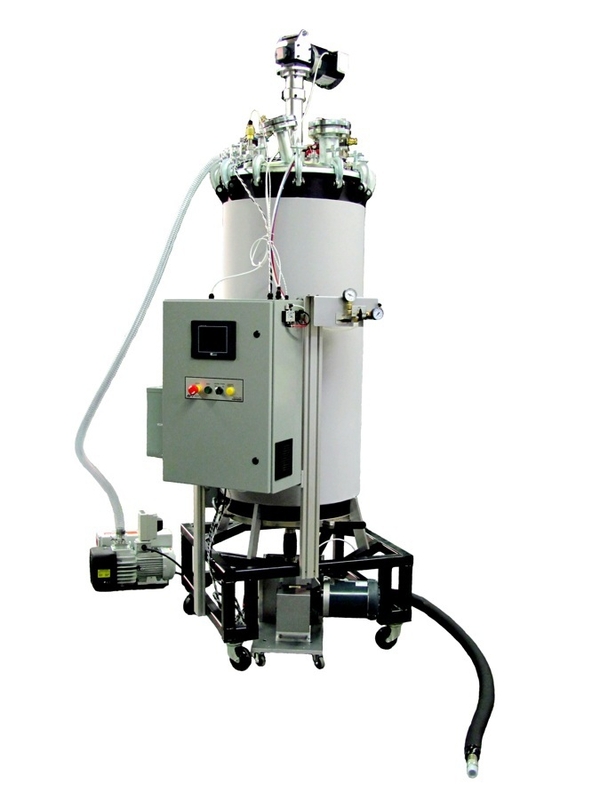 Large or small, standard or custom-built, now and into the future APT will work with you to design and manufacture high-quality reactive resin processing equipment. Learn how our technology and expert assistance will help you meet all of your complex process requirements with experience, dedication and attention to detail.